The 2015 Jetta and Jetta Sportwagen are now available at central Florida's premier VW dealer - David Maus! Both have received a number of exciting changes for the new model year, which you can check out in person when you come test drive the 2015 VW Jetta in Orlando! The compact car, Jetta, flaunts higher quality cabin materials, a revised diesel engine that's more efficient and powerful, optional new safety technologies and several design changes, including structural upgrades that've helped the compact earn improved frontal crash test scores. 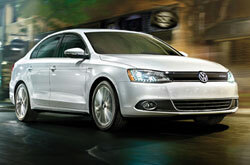 2015 Volkswagen Jetta reviews say shoppers will be pleased with the car's improved capability to protect passengers. Along with receiving a coveted 2015 IIHS Top Safety Pick award, the latest Jetta variation is offered with a new group of driver-assist features that promote safety, including: parking sensors, forward-collision warning and blind-spot monitoring. 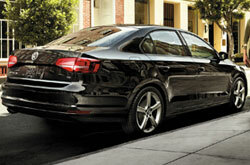 With an enhanced turbo-diesel engine, Jetta's available TDI models have also been making headlines. The latest version of the engine now offers an impressive 31 city/45 highway mpg (up from 30/42 last year) and 150 horsepower (up 10 ponies from last year). The wagon, Jetta SportWagen, also gets engine upgrades. Its base powerplant has been entirely replaced with a smaller but more powerful turbocharged 1.8-liter four-cylinder and its diesel option shows off the same changes as on the Jetta compact! In addition, 2015 Volkswagen Jetta SportWagen in Orlando now runs on the same all-new platform as the VW Golf, which has resulted in a larger yet lighter in weight wagon design. 2015 VW Jetta reviews say the SportWagen's new size means back-seat passengers will enjoy more shoulder, elbow and legroom. Both the Jetta and Jetta SportWagen offer luxury appointments such as heated front seats, Bluetooth Hands-free Phone, HD and satellite radio, and a rearview camera. Please contact David Maus for complete details about available trim levels and equipment offerings. Compare Volkswagen's latest model of the Jetta to its rivals and we're sure that you'll choose it over vehicles like the 2015 Hyundai Elantra, Ford Focus and the Honda Civic. 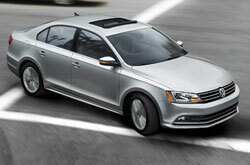 The Jetta's got several noteworthy qualities, including its user-friendly cabin features and pronounced design. It's a truly outstanding value. Just compare its price to the vehicles in its segment and you'll easily see why so many Orlando drivers love it. Scan our facts list to learn more about the Jetta - bullets below. Buying a car takes patience, research and a little help along the way! That's why David Maus VW South has provided the Jetta review above and reviews of other 2015 Volkswagen models. There is a reason why we are one of the Orlando area's well-known Volkswagen dealerships. Just one reason is that we provide reviews created by well-informed automotive writers. Every section comes up to the hilt with essential information, specs and research - just what you need to make sensible decisions about your next Volkswagen purchase. Find out more about David Maus VW South's great lineup! 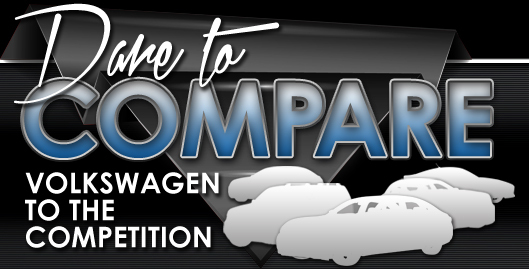 Review and compare Volkswagens other vehicles in our digital research archive now!